The restaurant experience has come a long way in the past couple of decades. Where it used to be that going to the restaurant was the main, and pretty much the only, way for customers to interact with a dining establishment, now technological advances like the internet and smartphones have given both customers and restaurant owners new and exciting ways to establish relationships with each other. If you’ve been thinking about setting up a website or other digital application for your restaurant, but haven’t actually done it yet, you must know there is never any better time than right now to take the plunge. In fact, the longer you wait to set something up, the more you, your business, and your customers could be missing out. Why is that? Well, a website can help your restaurant find customers and build connections with them in several different ways. WIthout a doubt, the biggest advantage that comes with websites and other various digital marketing strategies out there is the interaction with your customers. 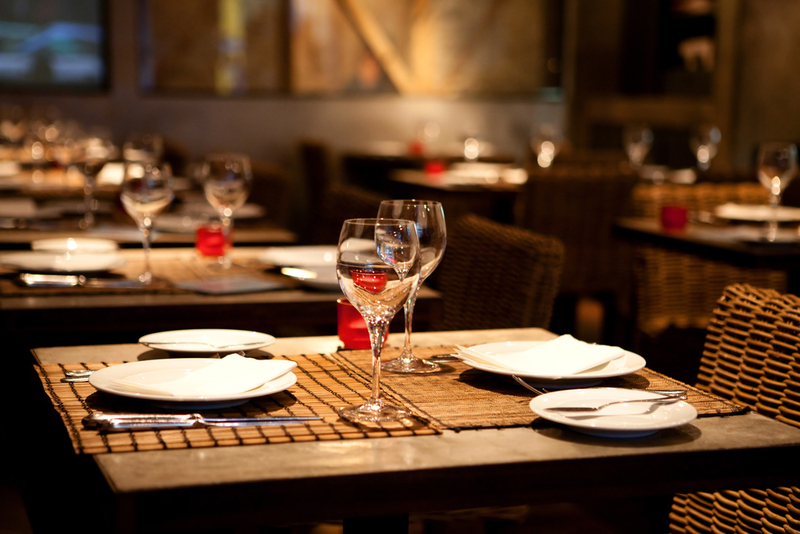 Websites allow customers to engage with restaurants using different ways than before. Sure, a website is a great way for customers to familiarize themselves with basic things like your establishment and its menu. Your website can tell people where it’s located and give basic contact information. All this is important, but it really only scratches the surface of your online capability. A shrewd digital marketer knows that a website can offer much more than the basics. Photos, social media updates, “behind the scenes” interactions, special online-only promotions and daily videos all provide great avenues for giving current and potential customers reasons to connect with your business. Those interactive possibilities represent what every business hopes to establish with its clientele. Another great thing about websites is that they give your business an opportunity to market to customers with very little up-front investment. You don’t even need advertisements! Those online-only promotions we mentioned in the last paragraph are just one example of how a digital connection offers your customers valuable promotional opportunities. Things like online coupons, customer reward programs and digital specials are one way to get people coming to your website on a regular basis. This traffic can help to generate buzz for your restaurant, and word-of-mouth advertisements only serve to drive more people to your doors, both in the physical world as well as the digital one. In addition, the old tried-and-true staple of online ordering, which has long been a mainstay of many restaurants, deserves a mention here. By combining such things as online ordering with .web-only promotions and coupons, you give people a reason to visit and order from your website on a regular basis, which leads to more and more people talking about your restaurant ahead of earning more sales. Marketing today is all about building a brand. Your restaurant needs a consistent message that tells customers what they need to know about your business and its food. What can they expect from your business when they eat there or visit in person? While a physical location is where the restaurant’s brand originates, a website can go a long way towards solidifying that brand in the minds of today’s digital-savvy and mobile consumers. Contemporary customers almost always turn to the web first when they want to learn about a new business. This, in turn, helps keep you fresh in customers’ minds when they look for a particular kind of dining experience. All of this digital marketing leads to one thing: revenue. By offering customers a unique, exciting and innovative experience, your sales only increase. It’s a simple fact that the more people you have talking about your restaurant and using its digital services, and the more ways you give for people to interact with your establishment. More interaction means more people want to be a part of what you have to offer both online and in person. This means more sales, which leads to more revenue. In addition, having a website also saves money because it’s basically a cheap way to advertise. Those promotions I talked about before are an easy way to generate buzz. Not only are you driving up sales with your website, but you’re doing it without having to spend a lot of money up front. So, basically, what I’m trying to say is this — by not having a website, you are missing out on many things: customer interaction, online marketing opportunities, and ultimately, revenue. If you want start a website, or you have one and need to take it further by increasing your website’s potential, please don’t hesitate to contact us today. We are ready to help you turn your online presence into a formidable marketing tool!